I miss having a headphone jack on my phone. You probably do too. Bluetooth headphones are getting better, but on the whole they pale in comparison to the decades of excellent wired headphones out there. That’s where the RadSone EarStudio ES100, possibly my new favorite gadget, comes in. For $99, not only does it let you use wired headphones with your headphone jack-less phone, it also adds a microphone playback controls to them. More importantly, it probably sounds better than your old phone did anyway. Even if you do still have a headphone jack, the EarStudio could very well prove an upgrade. The concept is simple enough. You plug your headphones into the EarStudio, and the EarStudio connects to your phone via Bluetooth. It supports both AptX HD and AAC for some of the best transmission quality available (LDAC would’ve been nice, but is still rare). There are many other Bluetooth receivers out there but most use regular AptX at best. Powering the sound are dual digital-to-analog converters (AK4375a, for those interested) potent enough to drive some of the most expensive headphones. It features both a standard unbalanced 3.5mm, and a fancier 2.5mm balanced port high-end portable headphones. Radsone’s DSP (Digital Signal Processor) sound engine also does some upsampling to help optimize the sound for Bluetooth streaming. The device itself is about 1 x 2 inches and comes with a clip to hook onto your clothing. At this point, you might be wondering “why not just use a dongle? It can be a bit awkward to clip on and have to deal with a cable, but you get used to it, and it’s still better than being tethered to your phone when you’re working out, cooking, or on the move. If clipped onto your clothing, the microphone sounds better than most for calls, and it’s neat to be able to add playback controls to my old-school headphones. If you don’t need a microphone, you can just keep it in your pocket, without the worry of the cable snagging on something and your phone shattering its screen. The EarStudio is light enough that even if the cable does snag on something, the unit won’t detach. The plastic construction isn’t exactly fancy, but it probably helps keep the weight down; I just wish the clip were stronger and the buttons a little more prominent, but those aren’t dealbreakers. Also, Micro USB charging is nigh-unacceptable in 2017. I won’t go into the technical details of the sound too much – you can check the 90+ page thread on Head-fi for that – but suffice to say the EarStudio clearly sounds better than the headphone jack (or headphone dongle) on any device I tested except LG’s G7. The Galaxy S9 and the OnePlus 6 both sound worse, as do the dongle’s included with the Pixel 2 Huawei P20. And these don’t have the power to drive my favorite headphones with the quality I like. Granted, I did much of my listening through the easy-to-drive Focal Clear, but it was able to handle them with applomb. Of course, it won’t compare to a mult-thousand dollar amp, but it still sounds surprisingly good. The LG G7, with its quad DAC sounds just a smidge better than the EarStudio does over Bluetooth, but it’s a surprisingly small difference. 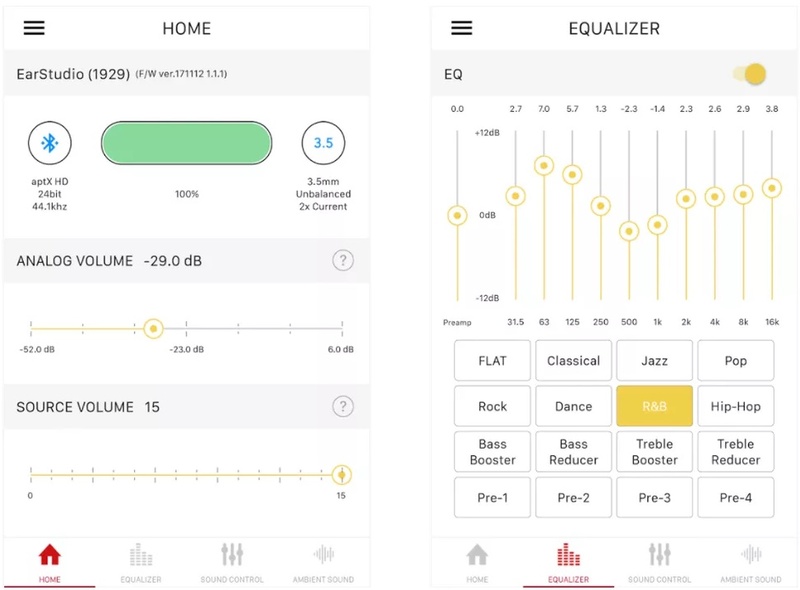 Moreover, Radsone has a surprisingly robust and well-designed app with a ton of features for tweaking sound quality. The company has been adding several features since launch – I’ve received two updates in the month I’ve been testing it. But the EarStudio has another trick up its sleeve: it works as a USB DAC for your computer too. 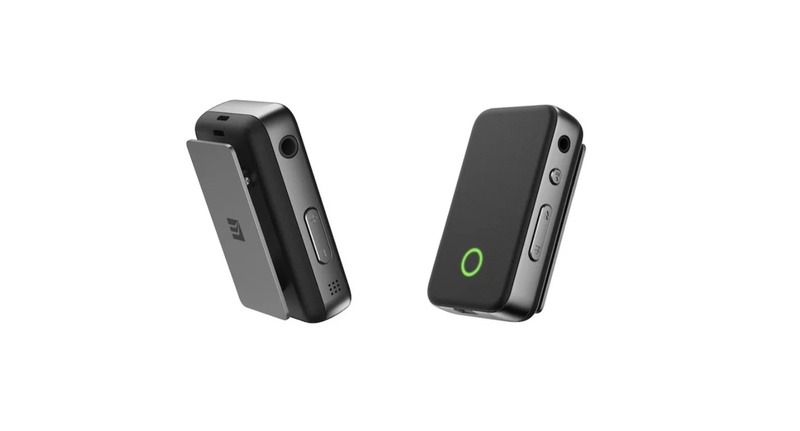 Most Bluetooth DACs only work wirelessly, but you can connect The EarStudio to your PC for charging and use it as an external soundcard at the same time. It actually sounds a little bit better via USB, meaning it will almost certainly sound better than your laptop’s built in headphone port. Speaking of charge, Earstudio claims up to 14 hours of continuous playback. I never listened to music for that long, but the estimate seems about right. That will vary on what headphones you’re driving, of course. $99 might seem like a lot to spend on such a gadget; there are other recievers and decent Bluetooth headphones for less. But you’d have to spend a lot more to match the EarStudio’s set of features – and usually not in a package this small. RadSone is clearly aiming the EarStudio at audiophiles, and has the specs, software, and performance to back it up. 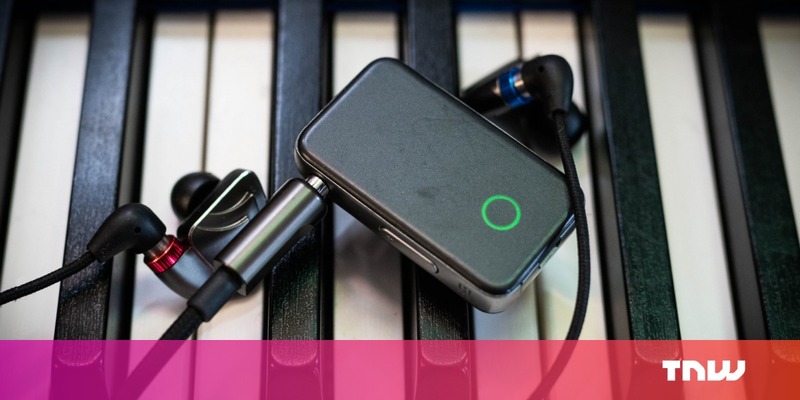 Some design caveats aside, if you’ve been missing the headphone jack, want the freedom of Bluetooth, and actually care about sound quality, the EarStudio might be the solution you’re looking for.